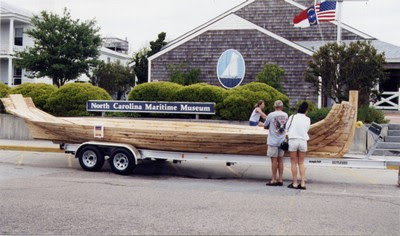 The 43rd Annual North Carolina Maritime Museum Wooden Boat Show features a variety of small wooden boats, historic vessels, nautical crafts, educational activities, boat models, traditional skills demonstrations and displays. Selected as a “Top 20 Event” for May 2016 and 2015 by the Southeast Tourism Society. It is the longest ongoing wooden boat show in the Southeast. The Annual Wooden Boat Show takes place on the Beaufort waterfront at the North Carolina Maritime Museum and the Harvey W. Smith Watercraft Center. Free Admission. Open to the Public.